When you or a loved one gets hurt in an accident, whether at work or while walking down the street, seasoned and successful NJ personal injury lawyer Andrew Calcagno believes that you deserve maximum compensation for your injuries. With over 20 years of experience fighting to protect the rights of good people, like you, who were hurt due to someone else's negligence, Mr. Calcagno thinks you shouldn't have to fight with insurance carriers to get financial justice. As an aggressive trial lawyer, Mr. Calcagno knows and understands that you want to hold the negligent responsible parties legally liable for the reckless behavior that caused your pain and suffering. The entire legal team at Calcagno & Associates will stand by your side, fighting tirelessly to win you the financial damages you deserve when you've been injured in a car, truck, or motorcycle accident, hurt by a medical mistake, or suffered after a worksite mishap. If your loved one was the victim of wrongful death caused by another's negligence, rest assured that Mr. Calcagno will be tenacious in his pursuit of justice for you and your family. Calcagno & Associates Represents Personal Injury Clients in Westfield, Edison, and Newark, NJ Andrew Calcagno is an experienced, aggressive personal injury trial lawyer who has settled and won millions of dollars for his clients in Cranford, New Providence, Plainfield, Rahway, Roselle, Roselle Park, Springfield, Summit, Union, Watchung, and Westfield. His law practice concentrates on personal injury litigation and Workers' Compensation cases in New Jersey and New York. Mr. Calcagno represents those whose lives have been tragically altered as a result of motor vehicle accidents, defective products, defective premises, medical malpractice, dental malpractice, or legal malpractice. Calcagno & Associates is a client-centric firm; every single client gets Mr. Calcagno's personal attention. He is passionate about protecting the rights of people hurt by the negligent actions of others. He is dedicated to providing a personalized approach to each case, treating each and every client with the respect and dignity they deserve. If you choose to be represented by Andrew Calcagno, he will prepare you throughout the litigation process and routinely update you on the status and progress of your case until a settlement or verdict is reached. Calcagno & Associates' attorneys and paralegals are highly trained and skilled, and they fully understand clients' needs and goals. We even make hospital visits and house calls for those who are seriously injured or who are unable to travel to one of our office locations in New Jersey or New York. Contact an Aggressive Elizabeth, NJ Personal Injury Lawyer Today for a Free Consultation If you are involved in an accident, we invite you to meet with a skilled personal injury lawyer who will listen carefully to what has happened and who will work diligently to prepare a case that will result in maximum compensation for you and your family. Contact us today for a free consultation about your injuries. Our staff is bilingual in English and Spanish. We have offices to serve you throughout New Jersey and New York. For a free consultation, please call us at 908-272-7300 or fill out the online contact form. Andrew Calcagno, managing partner of Calcagno & Associates, has been focused on winning justice for good people, like you, who were injured because of someone's else's negligence or carelessness. When someone else makes a mistake that causes you or someone you love to suffer a devastating injury, Mr. Calcagno is passionate about holding the negligent parties responsible for their actions. Contact his New Jersey office for a free consultation about your accident. Over the past 20 years, Mr. Calcagno's record of success at the negotiating table and in the courtroom has resulted in numerous multi-million dollar verdicts and settlements. He is a skilled negotiator and a tenacious litigator. As important as they believe it is to make sure that his clients are justly compensated for their pain and suffering, Mr. Calcagno and his team believe that it is sometimes equally important to help clients get closure by holding wrongdoers responsible for their actions. Calcagno & Associates is passionate about achieving justice for innocent people who have been hurt. Contact the firm today to request your free consultation with a lawyer who will give your personal injury case the personal attention it deserves. We have offices throughout New Jersey and New York to conveniently serve you and your family. If you are located in Cranford, Elizabeth, Westfield, Woodbridge, or anywhere else in New Jersey, you need to contact an experienced personal injury lawyer who will fight aggressively for maximum compensation for your injuries. Whether your accident occurred at a construction site during your normal workday or you fell in a parking lot due to poor lighting, you can rely on the legal expertise of Calcagno & Associates. 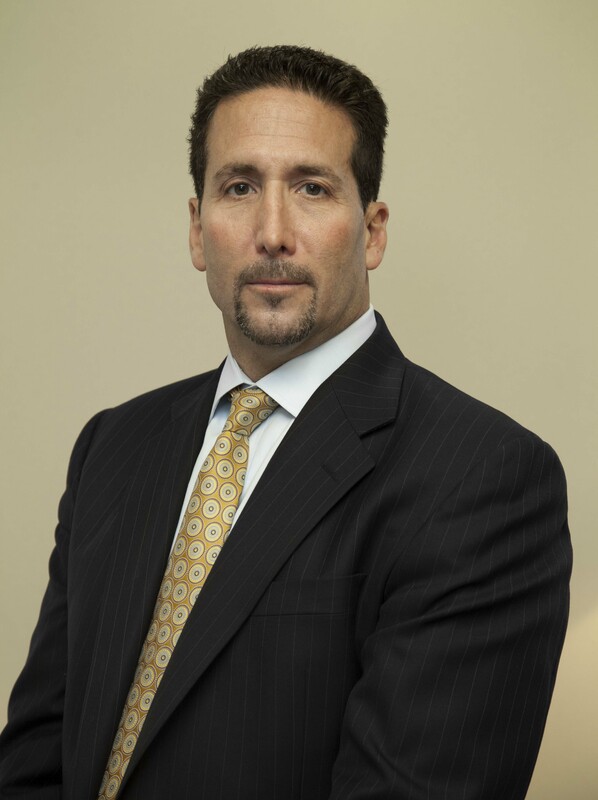 Andrew John Calcagno is the Founding Member and Senior Trial Attorney of Calcagno & Associates, a premier Personal Injury Trial Law Firm with offices throughout New Jersey and New York. Mr. Calcagno is admitted to practice law in New York, New Jersey, Pennsylvania, and the District of Columbia. Over the past 25 years, Mr. Calcagno has achieved numerous multi-million dollar verdicts and settlements on behalf of his clients in New York, New Jersey, and Pennsylvania. Many of the cases handled by Mr. Calcagno have been published in The New York Times, New York Daily News, New York Law Journal, Staten Island Advance, The Star Ledger, The Bergen Record, New Jersey Law Journal, New Jersey Verdict Search, and National Verdict Search, as well as broadcast on Channel 4 NBC News, Channel 12 News, CN8 News, and 101.5 FM Radio. Mr. Calcagno has been named as a Super Lawyer by New Jersey Monthly Magazine for five consecutive years; only 5% of the practicing lawyers in the State of New Jersey have been designated as Super Lawyers by New Jersey Monthly Magazine. Mr. Calcagno is also a Life Member of the Million Dollar Advocates Forum, which puts Mr. Calcagno in an elite group of less than 1% of all lawyers in the United States. The selection process used by Thomas Reuters for the Super Lawyers list is multi-phased and includes independent research, peer nominations, and peer evaluations. Membership in the Million Dollar Advocates Forum is limited to attorneys who have won million dollar verdicts or settlements. Mr. Calcagno is also a Member in Good Standing of the American Trial Lawyers Association ("ATLA") and has met the Standard of Excellence for Selection to TOP 100 TRIAL LAWYERS. ATLA is the most prestigious and well-respected Personal Injury Trial Lawyer Association in the United States. Mr. Calcagno concentrates his Law Practice on Personal Injury and Workers' Compensation. Over the past 25 years, Mr. Calcagno has successfully represented clients who were seriously injured in all types of accidents, including car accidents, truck accidents, bus accidents, train accidents, construction accidents, and premises liability cases involving inadequate security. For the past two decades, Mr. Calcagno has helped his clients win millions of dollars in settlements and verdicts for their pain and suffering, disability, impairment, and loss of enjoyment of life. Mr. Calcagno takes personal injury very personally. He puts his blood, sweat and tears into every case, representing each and every client with professionalism, enthusiasm, and zeal. Mr. Calcagno is a Life Member of the Million Dollar Advocates Forum. Membership is limited to attorneys who have won million dollar verdicts and settlements. Mr. Calcagno has been named to the Super Lawyers list by New Jersey Monthly Magazine in the practice area of Personal Injury (published by Thomson Reuters) for five consecutive years. Mr. Calcagno is a Member in Good Standing of the American Trial Lawyers Association ("ATLA") and has met the Standard of Excellence for Selection to TOP 100 TRIAL LAWYERS. ATLA is the most prestigious and well-respected Personal Injury Trial Lawyer Association in the United States. Mr. Calcagno dedicated countless hours of his time pro bono for the victims of 9/11, recovering millions of dollars for the victims and waiving his legal fees and costs. As a result of his dedication and devotion to the victims of 9/11, Mr. Calcagno is listed as a "hero" in a book published by Trial Lawyers Care ("TLC"). Calcagno & Associates - Personal Injury from NextLevel.com on Vimeo.